If a baby is not in your plans right now, it’s possible you’re feeling scared, pressured, or trapped. An abortion might seem like the best way out. Your feelings are valid; this is a big decision. There are at least three options available to you. Each will have immediate and long-term impacts on your life. No one ever regrets having decided carefully, as opposed to a hasty decision based on fears and emotions. An abortion is permanent; it can’t be undone. We care about you and are here to help. PSIC is available to listen to your concerns, answer your questions, and discuss your options. Contact us to share your thoughts and concerns about what you are going through. You may be wondering if keeping your baby is a realistic option. Contact us to talk about what parenting could look like for you. We can discuss married parenting, co-parenting, single parenting, or short-term care. Whatever parenting option you choose, know that we are here for you. There are medicated and surgical abortion procedures. The types of abortion that may be available depends on many factors such as how far you are in your pregnancy. It may seem like abortion will wipe away this situation and you can just move on, but it is not that simple. Abortion is a life-changing event with physical risks such as heavy bleeding, damage to organs, infection, and even death. There are also emotional or psychological risks such as guilt, depression, anxiety, and relationship difficulties which can effect both women and men. 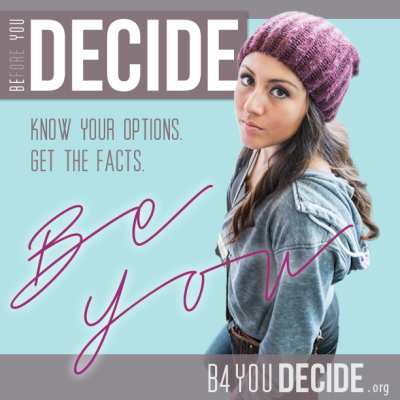 Most women who struggle with past abortions say that they wish they had been told all of the facts about abortion and its risks. If you or someone you know is experiencing regret from an abortion, we offers confidential, compassionate support designed to help women work through these feelings. You are not alone. If finances or life circumstances are reasons you are considering abortion, adoption may be an option to consider. We can assist you in knowing more about the adoption process and your legal rights in making an adoption plan. Come in and talk with one of our client advocates. An adoption agency can help you choose a loving home for your baby. Many of them also provide financial assistance for pregnancy and giving birth. Emotional support during the pregnancy and afterwards is also available. Contact us for more information. We welcome your questions. Note: PSIC has trained advocates and offers accurate information about all pregnancy options; however, we do not offer or refer for abortion services. The information presented on this website is intended for general education purposes only and should not be relied upon as a substitute for professional and/or medical advice. Click here for full disclaimer.